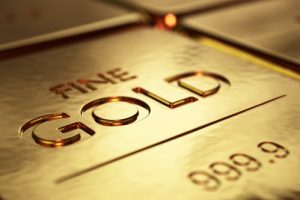 Gold and silver futures kicked off the new trading week on Monday with modest losses, but they did rebound from their intraday lows. Gold for August delivery settled down $3.90, or 0.3%, to $1,319.50 an ounce on the Comex division of the New York Mercantile Exchange. Gold futures traded from a low of $1,311.10 to a high of $1,323.40. "Despite two consecutive weeks of scaling back speculative net length in gold, positions on COMEX remain relatively elevated at 94 percent of the record," Reuters quoted UBS Strategist Joni Teves. "This could make gold vulnerable in the near-term, should the market increasingly price in a more hawkish Fed." Last week, gold slipped 0.3% for a second straight weekly decline after having logged six consecutive weeks of gains. Silver for September delivery fell 4.2 cents, or 0.2%, to settle at $19.647 an ounce. Silver futures ranged from $19.35 to $19.76. They sank 2.4% last week, their first weekly loss in two months. October platinum was unchanged at $1,088.40 an ounce, trading between $1,072.30 and $1,095.10. Palladium for September delivery added $2.70, or 0.4%, to $688.75 an ounce, ranging from $675.80 to $689.85. The two metals split last week with platinum falling 0.6% and palladium soaring 6%. Gold declined $7.60, or 0.6%, to $1,313.15 an ounce. Silver lost 29 cents, or 1.5%, to $19.41 an ounce. Last week in London bullion, gold fell 0.5%, silver dropped 2.2%, platinum was unchanged and palladium advanced 6%. 125,000 ounces in American Silver Eagles. Gains in Platinum Eagles are the first this year, and are already 200 ounces higher than sales in calendar year 2014 when the coins were last offered. Demand for American Silver Eagles has slowed in the last few weeks but their sales are still tracking a record. Their year-to-date total of 27,570,500 coins is 12.6% higher than the amount sold through same time in record-breaking year 2015.